Ah, a three-day weekend. Better yet, on Sunday and Monday the weather was mild and dry. 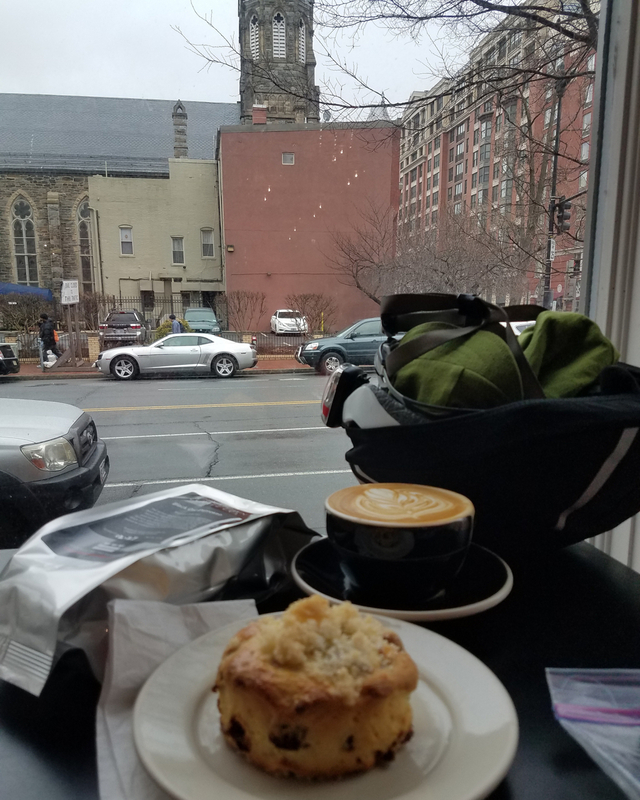 This is the time of year I find myself of multiple minds: trying to keep up the miles on the bike to get ready for the upcoming spring randonneuring brevets, and fretting over our summer tandem tour. A long weekend let me indulge both. 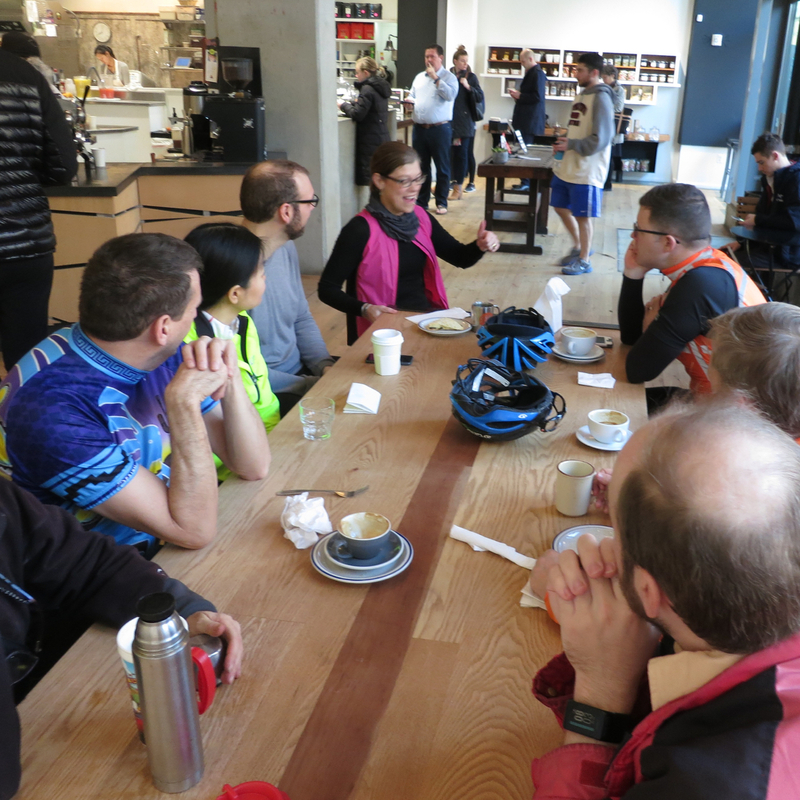 Friday morning started out pleasantly as always at the weekly Friday Coffee Club commuter cyclists gathering. The pre-work meetup is nearing its five-year anniversary, which we’ll celebrate later this month. I’ve been keeping an eye out for the reopening of our original FCC location at Swing’s Coffee on 17th & G NW by the White House. It now looks like July or later according to the Swing’s site. A Baked Joint at 440 K St. NW has been a welcome temporary spot and we’ll continue there. A typical cold and rainy January day met us. I got out for a nice midday Freezing Saddles ride for a coffee visit with Jerry and Carolyn at Chinatown Coffee. Aspen and the Rio Grande Trail to Carbondale. We’ll also return to some favorites: Durango, Silverton, and Kremmling, and another go at hauling the tandem over the wild & wooly Rollins Pass from Winter Park on the final day. This time, big tires are going on the tandem for that doozy. The route was already drafted – the real work was making hotel reservations and buying our airline tickets. I always feel a little nervous locking down our July trip in mid-January, but it’s also nice to have everything lined up. I’ll make up cue sheets in the coming weeks and figure out the coffee places, bike shops and restaurants in the new towns. The skies cleared and we rode the Spectrum tandem to Frederick, Md. 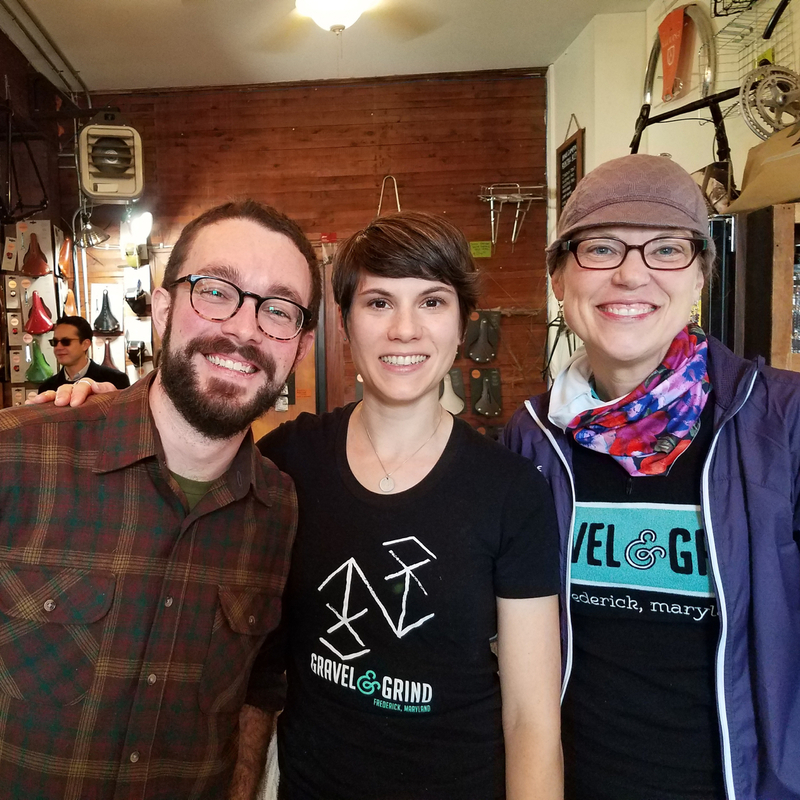 to one of our favorite area shops, the enchanting Gravel & Grind. Mel and James have created something really special and we always enjoy ourselves there. 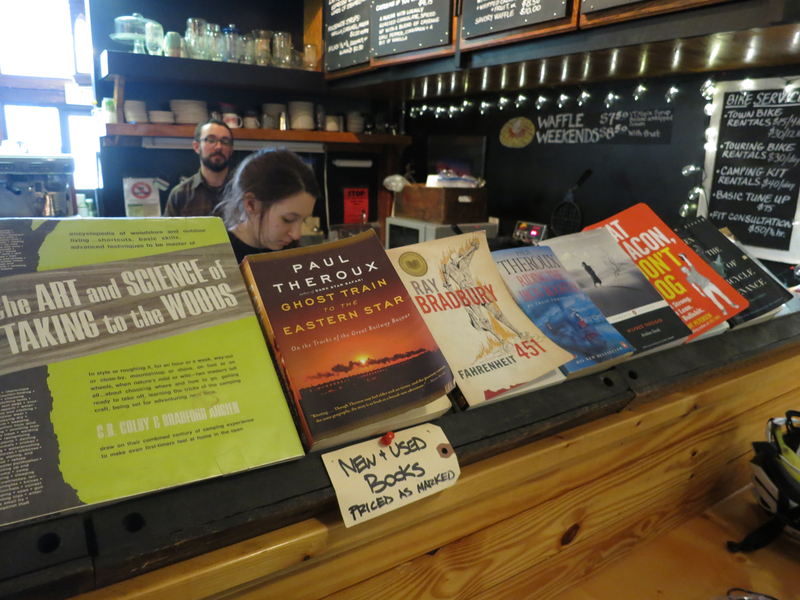 Everything is good (the coffee, food, bikes, stuff, and scene), but especially their welcoming vibe. 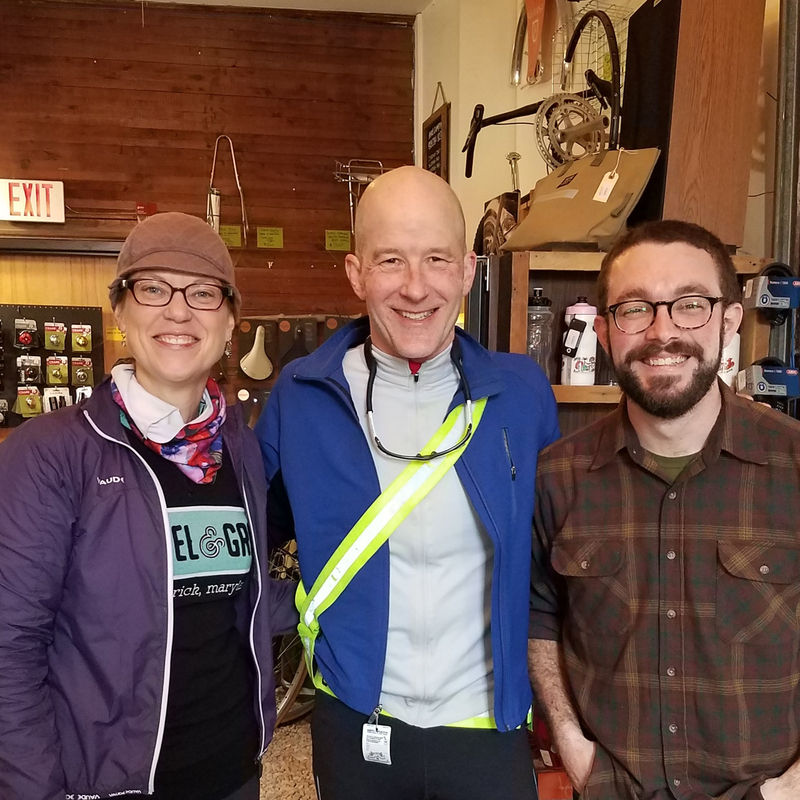 A randonneuring friend of ours has been talking to James about staging a fall randonneur brevet from the shop, so everybody could get some food and drinks and hang out afterwards. I hope it comes true. The ride was a good one for us, at 117 miles without any extended climbs – perfect for winter when the wind isn’t blowing. Here’s the route on Garmin Connect or you can check it out at Strava. 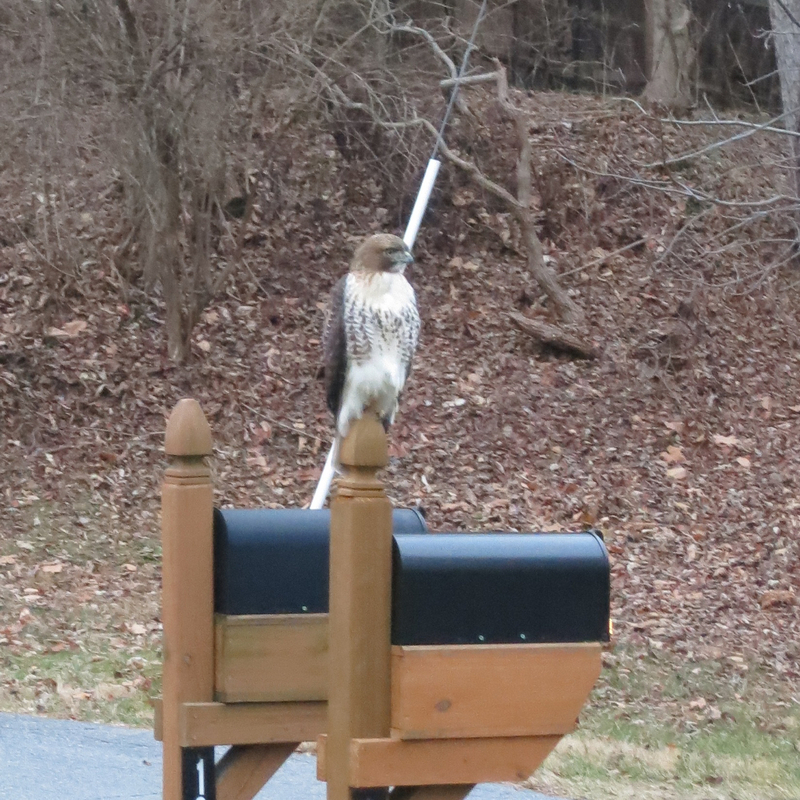 The ride home was uneventful except for this very cool hawk on the side of River Road, near dusk. It calmly let us take photos. Thanks hawk! Mary and I each had dentist appointments and the skies were gray. 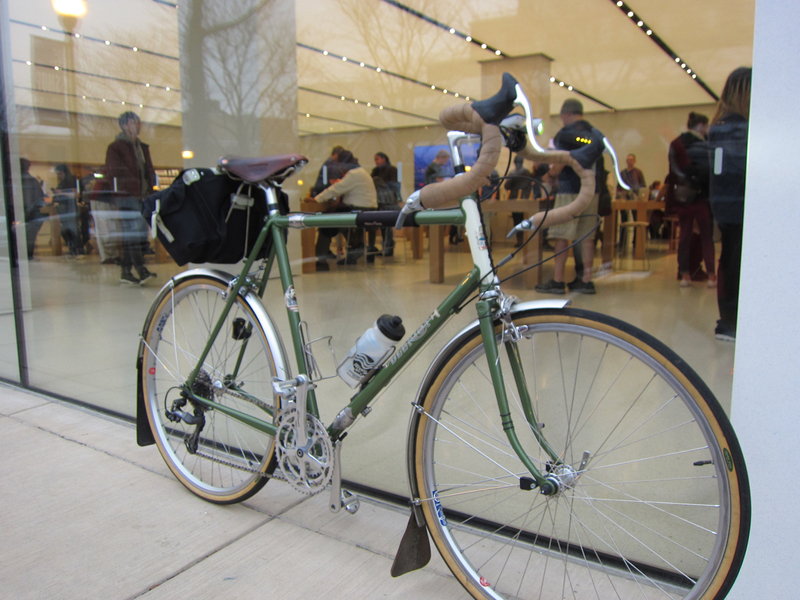 I rode my Rivendell Bleriot, which sees far too little use these days, up to Clarendon in Arlington to turn in a very old Mac Mini for recycling (the PowerPC generation, if that rings a bell). The bike, unlike that old Mac, is just as good as ever, though it needs better fenders. 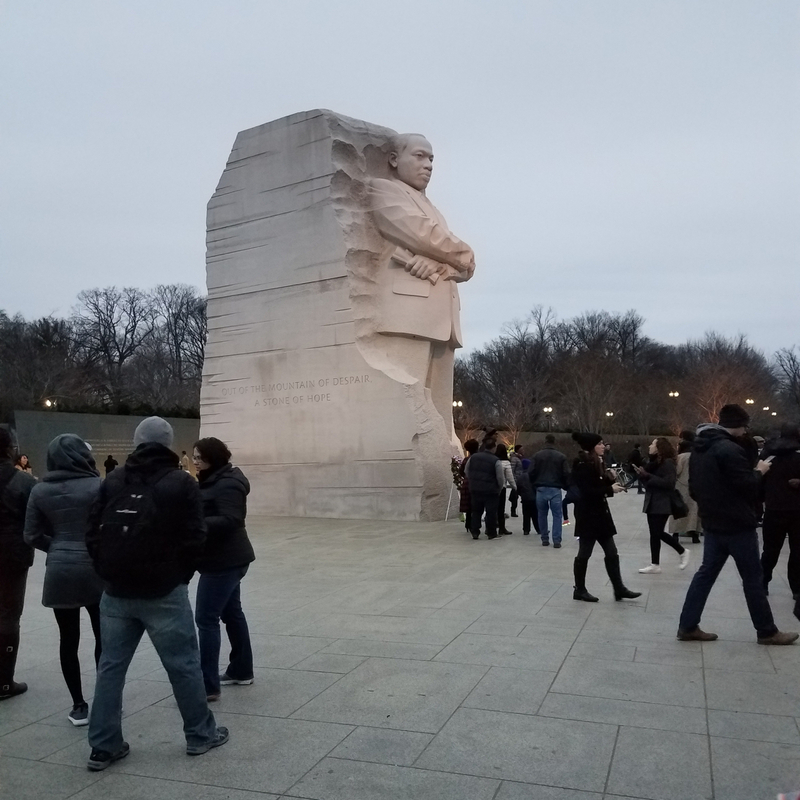 From there I rode down to the Mall and went to the Martin Luther King Jr. monument, which was busy with visitors — appropriately so on this day.